To put it simply: good sound matters. You only buy a new hi-fi stereo or home theatre system every 10-20 years. So, as an appliance, hi-fi is really too important to leave to chance and catalogues: whatever you buy is going to play music or television to you for a very long time. 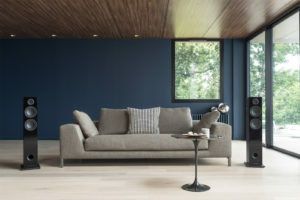 Steve Bennett Hi-Fi applies decades of experience to our purchasing decisions and then only selects products that we know will deliver you engaging sound and picture year after year. Choosing the right stereo equipment will save you hundreds, if not thousands, of dollars. But in order to save money and make good choices we debunk myths and clear the hype. When you take away it’s gimmicks, some products simply don’t stand up to scrutiny. How many televisions have you seen that play internet video, make telephone calls and show 3D movies only to have unrealistic colour or a ‘cartoon-like’ picture quality? And we can’t remember how many surround sound ‘amplifiers’ that have been offered to us that don’t have very good quality amplifiers in them at all. All in all, decades of experience are right at the heart of getting you lasting satisfaction and value for your money from your new home entertainment system. staff. We ask you questions – about your home, your style, your music and your good and bad experiences with hi-fi and then we recommend a suite of products in answer to your requirement rather than our sales targets. Your new sound-system should fit your needs, your lifestyle, your décor and your budget perfectly. After 35 years in business – it’s really not that hard. Next post: RX-AS710: a ‘stereo amplifier’ for our times….